His macarons were immaculate and his clay creations are being used in our living room while mine are falling into pieces. However, I am not one to give up so easily! So with the help of Obby, I challenged Graham to a flower arranging class! Obby is a fantastic website that allows people to list, discover and book unique learning experiences in London. It is a great place to get your next inspiration and watch those learning experiences flourish into hobbies and develop into passions! They have a lowest price guarantee and if you can find a cheaper place to book a class, they will give you your money back. Their website is so easy to use and they make finding an booking a class fuss-free. So back to the flower arranging challenge! 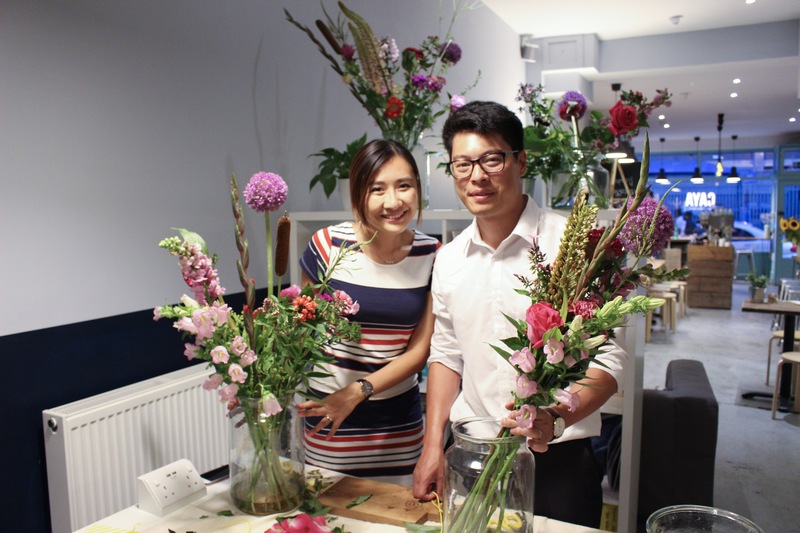 We attended an evening class held by Bloomon last week in Brixton which was loads of fun. We learnt a little history about Bloomon and general (and really useful) tips on how to look after flowers at home. Everybody was offered a complementary drink and we all had our own little work station. The instructor has incredible knowledge on flowers and she went through what to do step by step with us. Creativity was blooming in the room! And the best thing about this class? We were able to take the flowers home! 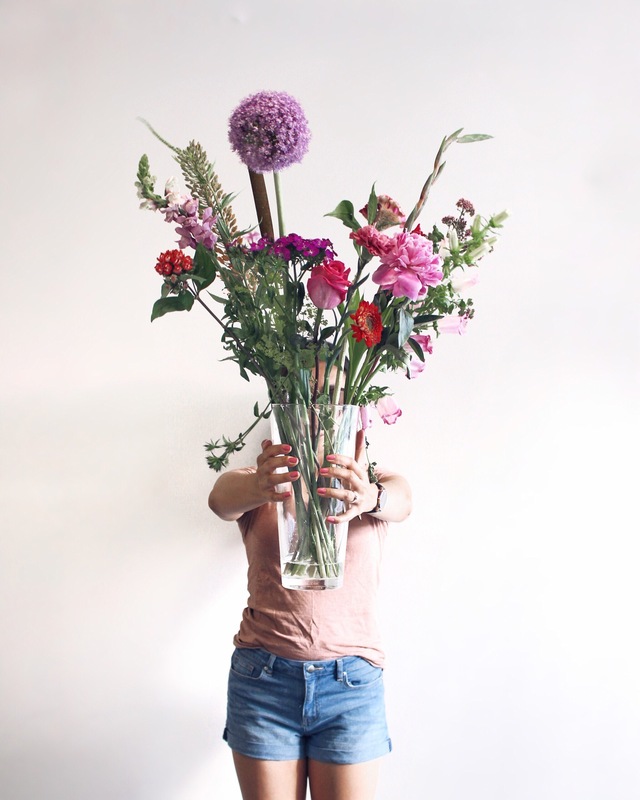 Just like our instructor said, having flowers in your home can really change your mood. Studies have shown that hospital patients feel happier if they have flowers by the beds and we had been feeling the same at home. 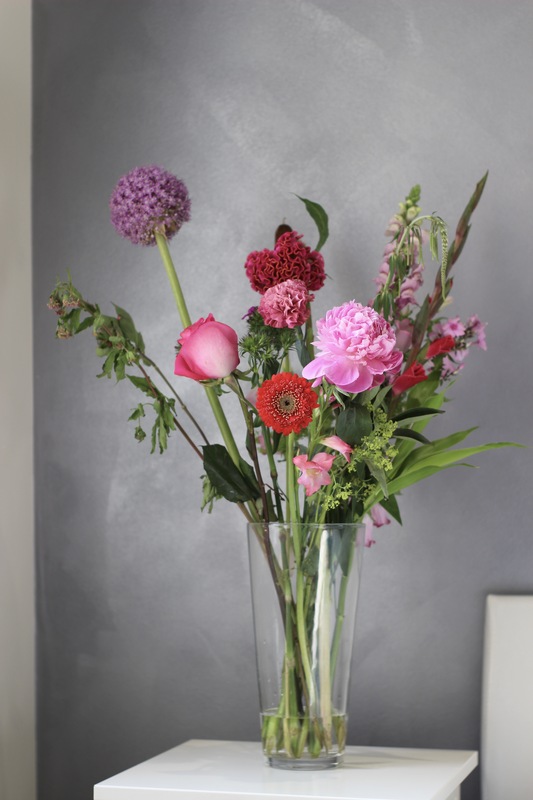 You can book your own flower arranging class HERE. If you register now, use the code CHAUSADVENTURE10 to get £10 off your first class! There are so many unique and quirky learning experiences on offer so make sure you take a look and see if anything tickles your fancy! This entry was posted in Lifestyle, Product Review, Travel, Uk, Uncategorized and tagged classes, couples, flower arranging, flowers, fun things to do, hobbies, hobby, learning, london, married life, obby, Travel, travel bloggers, Uk, ukblogger by chausadventure. Bookmark the permalink. I did a similar class during my hospitality classes – loved it! Pics are amazing!! They have motivated us to add this to our list..
Wow it is beautiful. I like it a lot. Thanks for sharing. Sounds like you guys have a great and romantic relationship! Keep up the classes and creations. This is so cute! I’ll definitely check out Obby!! Thanks!! Get booking some awesome classes!